MARK Cutifani, CEO of Anglo American, described Chris Griffith, his counterpart at the 80%-owned listed subsidiary, Anglo American Platinum, as “keen as mustard” to explore fresh prospects in Zimbabwe which has recently thrown its doors open to investment. Cutifani, as with Impala Platinum (Implats) CEO, Nico Muller, is cautious about how a change in president in Zimbabwe might actually alter policy towards foreign investment. 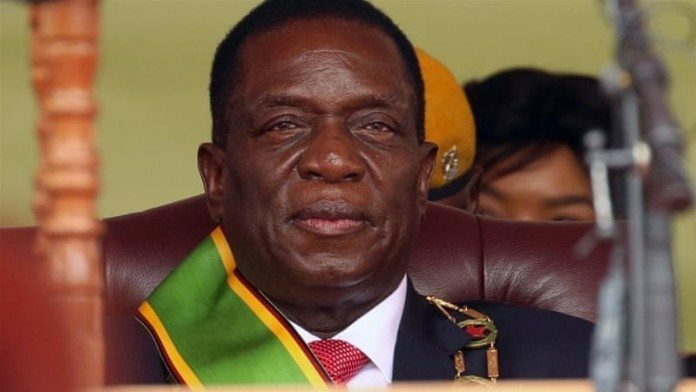 Following the initial euphoria following the toppling of former Zimbabwe dictator, Robert Mugabe, a sense of watchfulness has now befallen the markets in respect of Zimbabwe, especially among the miners who have seen it all before. “With Zimbabwe, it’s still a bit too early,” said Cutifani at the group’s full-year results presentation in February. “We have only one asset there – Unki – but it is a very good asset. But what the world of platinum group metals (PGMs) doesn’t need right now is more production. So we will watch that one carefully,” he said. What’s missing from Zimbabwe is how the country intends to adapt its indigenisation policy to suit fresh or continued investment. This is the regulation that demands foreign miners transfer 51% of their shares to the Zimbabwean government, some of which it will keep; some of which it will distribute to communities, and a trust. Said Implats’ Muller: “51% is not part of the position we currently have, and it is not part of our position with the [Zimbabwe] government now”. Alex Mhembere, CEO of Zimplats in which Implats has an 80% stake, believes new Zimbabwean president Emmerson Mnangagwa is prepared to see indigenisation completed in other ways that via direct equity share: either through a transfer or shares, or value by other means, such as other economic contributions. “There is discretion for the minister to switch from equity to economic development such as a reindustrialisation focus. So its achieving those two objectives,” said Mhembere. This means changes Implats/Zimplats can make to allow for import substitution as well as supporting local suppliers through advanced procurement practices, would be looked upon favourably. “We have had a number of discussions in that regard,” said Mhembere. What’s not possible, it seems, is for Zimplats to build a refinery as demanded by the Zimbabwean government under Mugabe’s rule. In a classic example of preferring the stick to the carrot, Zimbabwe has threatened to impose a 15% export levy on ‘unbeneficiated exports of PGM concentrate’ if PGM companies such as Zimplats do not comply. Muller has threatened to shut Zimplats if such a levy were eventually imposed (although it has been postponed twice, much like South Africa’s carbon tax, due now in 2019). Muller thinks it’s probably time for the PGM industry in Zimbabwe to collaborate in respect of refining PGM concentrate there. The question is, how exactly? Again, simple solutions are not squarely on the table. Pallinghurst Resources, the Johannesburg-listed investment-turned-operating company, has extracted an agreement from the Zimbabwe cabinet when Mugabe ran it to impose adoption of its patented ‘Kell’ technology on all PGM players. This is ‘a new way’ of refining PGM concentrate at a snap of the $1bn it normally requires to build a refinery; in the case of Kell, an estimate of some $90m to $100m in capex has been estimated per module. The idea is that once built by the chaps at Pallinghurst, assisted by the Industrial Development Corporation and the Zimbabwe Mineral Development Company, PGM companies will be obliged to supply their concentrate, thus avoiding the export levy. But PGM firms don’t trust it; not yet. Amplats’ Griffith is already on record as saying that Kell was yet to be commercially proven. Implats’ Muller has a similar view. According to Muller, the technology sacrifices the recovery of precious metals in favour of base metals which may not be the optimal commercial equation. “We are still finding it difficult understanding how Kell can achieve the claims made for it. We are entering a process of trying to get closer to the technology,” he said. “We can’t be forced to give up economic value to the Zimbabwe government by adopting this process”.